David Headley looks Anglo, but he was the American-born son of a high-ranking Pakistani diplomat. Under his mother’s maiden name, he became a drug-trafficker and a terrorist, who was instrumental in planning the 2008 Mumbai terrorist attacks. He is currently serving a thirty-five year sentence in Federal prison as part of a plea bargain that precludes his extradition to India. The Indian government took exception to the arrangement—and who could blame them? 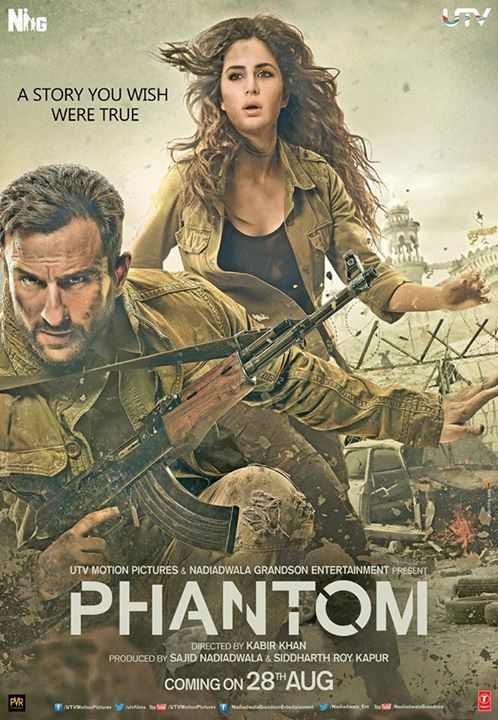 However, Headley and his fellow Islamist terrorists will finally get what’s coming to them in Kabir Khan’s international thriller, Phantom (trailer here), which is now playing in New York. Former military commando Daniyal Khan is now so far off the grid, it is almost like he never existed in the first place. The chip on his shoulder is still very real though. Altogether, he is the perfect stealth candidate to execute a series of off-the-books assassinations on behalf of India’s Research and Analysis Wing (RAW), their CIA equivalent. Finally, Khan will bring some cold hard justice to the men behind the 26/11 attacks, perpetrated by the Islamist Lashkar-e-Taiba, with some degree of coordination with Pakistani intelligence. Basically, he will be a lone wolf, but from time to time Nawaz Mistry, a military contractor working undercover with an NGO, will lend a helping hand. Headley is very much a real life figure and just about as odious as J. Brandon Hill portrays him, if not more so. Presumably, everyone on Khan’s hit list are based on historically culpable terrorists (such as the hate-preaching Hariz Saeed), or constitute composites that are close enough for government work. However, the truly eye-opening aspect of the film is the presumed open collusion between Lashkar-e-Taiba and all levels of the Pakistani government. Khan often trades gun fire with Pakistani cops and soldiers, but he is never aiming to miss, like the A-Team. This war is not a very cold one. In its way, Phantom is quite the education for American audiences. Without question, the Mumbai attacks, Lashkar-e-Taiba, and David Headley have all been woefully under-reported in this country, because the media finds it so uncouth to dwell on Islamist terrorism. Well, anyone traveling to Mumbai would be well advised to get up to speed before leaving, because the wounds there are still raw. 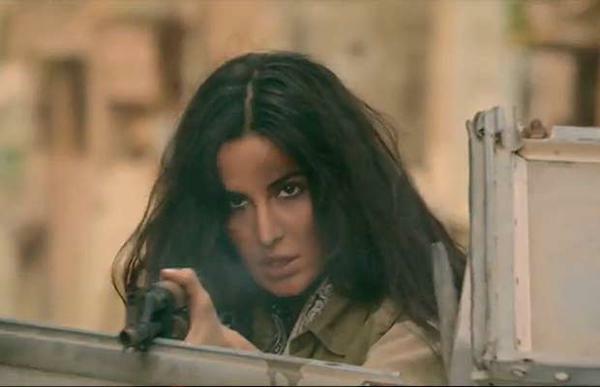 Phantom is absolutely a revenge fantasy thriller and if you expect Kabir Khan to apologize for it, you are in for a long wait. He stages some satisfying high octane action scenes and the plan to get Headley is particularly clever. Frankly, it is rather embarrassing the American film industry never targeted Bin Laden in a similar fashion. As Daniyal Khan, Saif Ali Khan is so badass he doesn’t even have time to swagger. He’ll just squint you dead. Since this is Bollywood, he does not have much opportunity to develop romantic chemistry with Katrina Kaif’s Mistry either, but she holds her end up in the action sequences. Hill is an apt dead-ringer for Headley, so to speak, but Denzil Smith almost has too much steely gravitas for Haider, the villainous Pakistani intelligence chief. Kabir Khan keeps Phantom cruising at such a crisp gallop, it seems much shorter than its two hour-plus running time. It is abashedly pro-India and anti-terror, but what’s wrong with that? Unfortunately, it is scheduled to end its midtown run this Thursday (9/10), which seems slightly perverse. If ever there was a day for its cathartic payoff, it would be September 11th. Recommended for fans of Bollywood action and 24-style payback, Phantom is currently playing limited shows in New York at the AMC Empire.